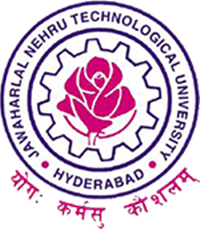 Sub: JNTUH, Hyderabad – Examination Branch – B. Tech. I Year I Sem (R18) Regular, I-I (R16) & I Year (R13, R09) Supply Examinations December – 2018 – Notification – Instructions to the Principals –Reg. The Principals of the constituent and affiliated B. Tech. Colleges are here by informed that the University Examination Branch issues notification for the conduct of B. Tech. I Year I Sem (R18) Regular , I-I (R16) Supply & I Year (R13, R09) Supply Examinations December-2018. Sir I am R(07) reg I have a backlog in first year should I eligible for writing in these supply. I M.PRADEEP KUMAR B.TECH-R07 BATCH. I HAVE BACKLOGS ,SO I WANT TO WRITE (ON TIME CHANCE) EXAMS .HOW CAN I REGISTER AND HOW I SHOULD PAY EXAM FEE .PLEASE PUT A MAIL .